Mr. Torizawa with kiln, California,1956. 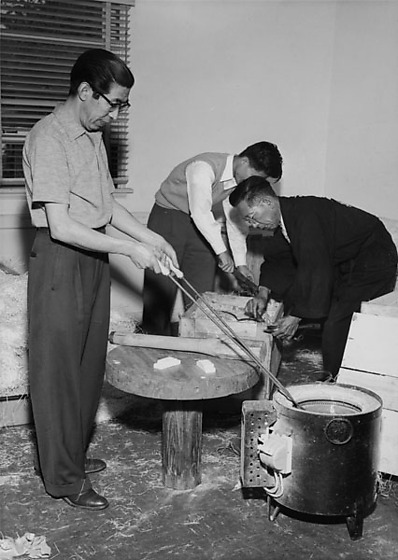 Includes portrait of Torizawa in suit and eyeglasses looking at viewer, and Torizawa pulling an object out of a small kiln with tongs as two men work with crates. Typed on original negative envelope: Torizawa.